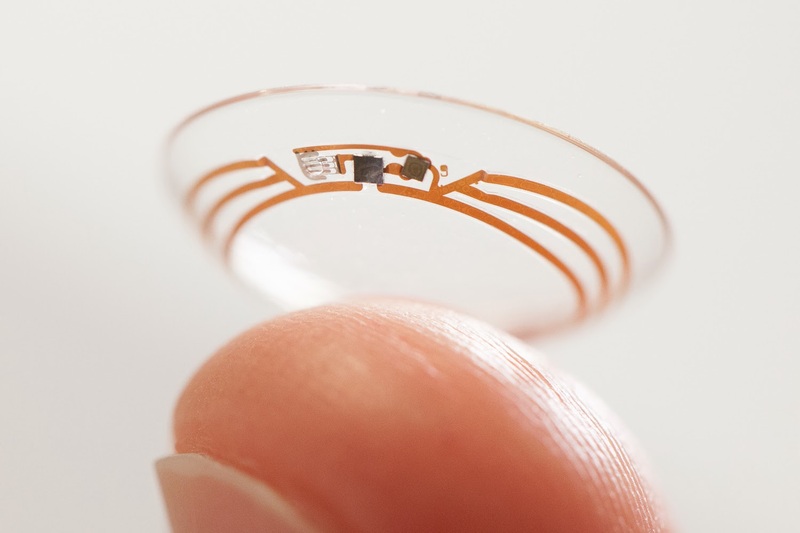 In 2014, Google Glass is the top of Wearable technology device but Google want to go beyond just a Smart Glasses.... to Smart Contact Lens. A new patent from Google indicates that the company is working a similar project. 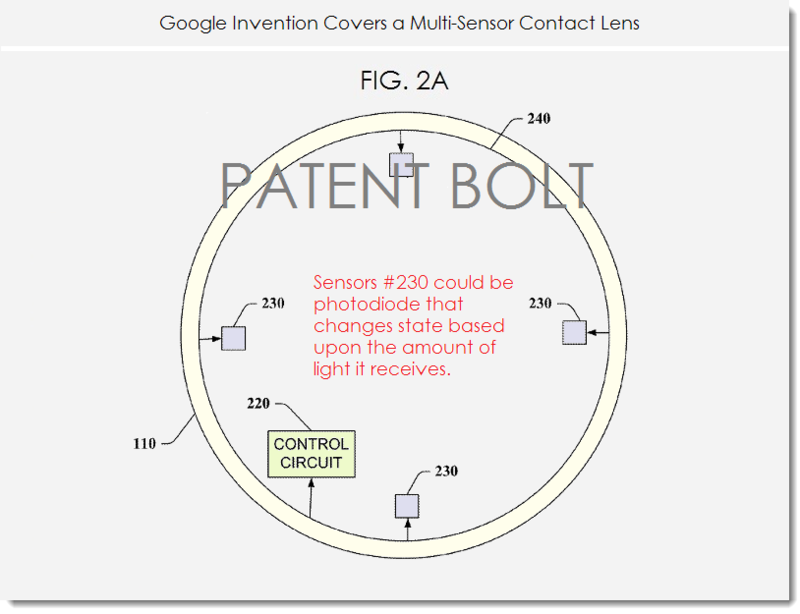 Patent Bolt reports on a Google application to the USPTO for "multi-sensor contact lenses," intended primarily as a method for blinking input or input augmentation for wearable devices, or just electronics in general. 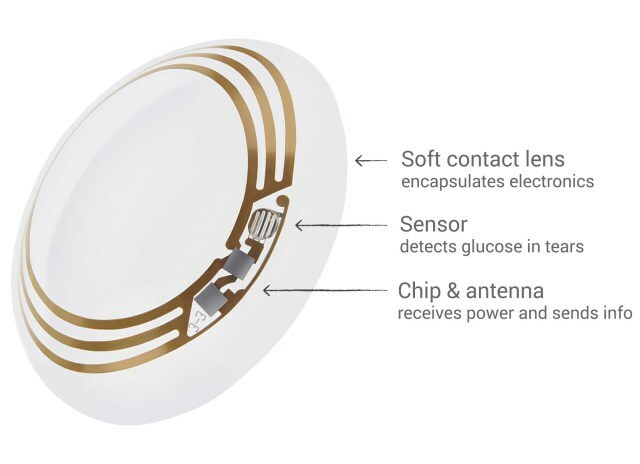 The basic idea is that a number of sensors embedded into a contact lens could be used to detect blinks with incredible accuracy. The technology to track eyes and blinks already exists, but it's been focused almost exclusively on external cameras. The patent application describes a light sensor, pressure sensor, temperature sensor, and conductivity and electric field sensors, all combined with a control circuit and power source embedded outside the user's physical field of vision. This isn't a "smart" device in the traditional sense there would be no serious computation going on inside the lens itself but the sensors could give extremely precise readings on the number and duration of blinks. One of the explicit uses of the sensor is to detect changes in light reception to accurately infer a blink. The patent application was filed in late 2012, which would have been in the latter part of development cycle for the initial release of Google Glass. A few of the more practical parts of the idea are left abstract, particularly the power supply; Google describes various method of power including solar, thermal, or radio frequency power. 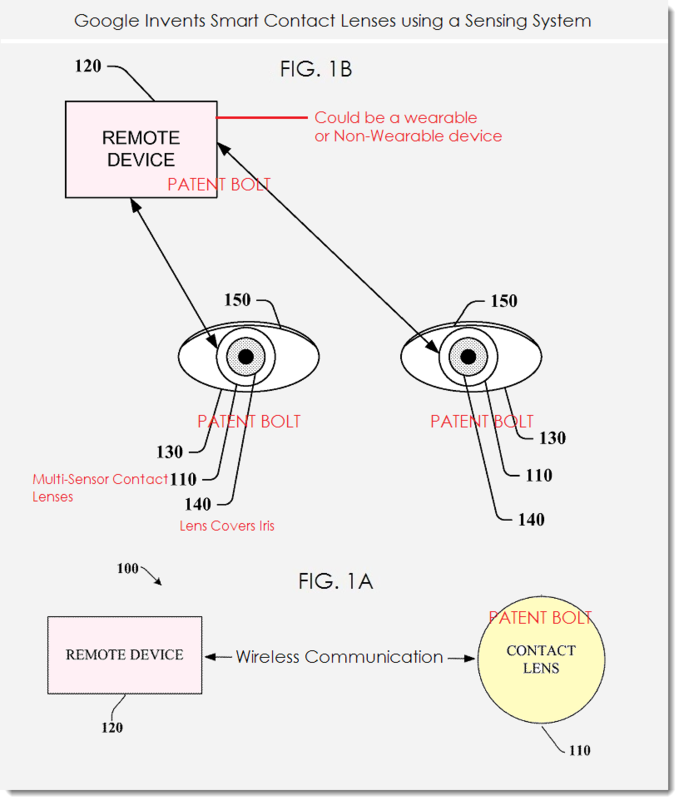 Let's hope we see this Smart Lens this year as an accessory for Google Glass or part of Google Glass 2.